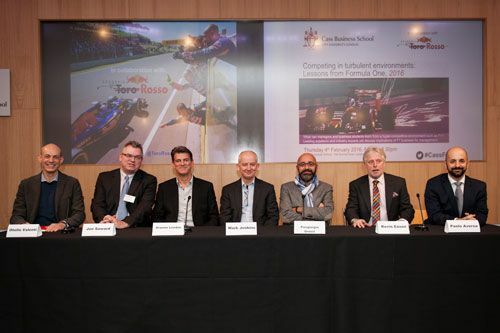 Panelists lined up on the starting grid at Cass to discuss lessons for business from Formula One. To explore the F1 phenomenon and to see what lessons could be learned from it, Cass invited leading industry analysts for a discussion Competing in Turbulent Environments: Lessons from F1. Mark Jenkins, Professor of Business Strategy, School Of Management, Cranfield Univ. Mr Lowdon said he had always viewed Formula One as the greatest team sport in the World, because the team is all focused on one task.